If you want to get your hands on a legitimate racing car in the form of the Camaro GT4.R, you now can. 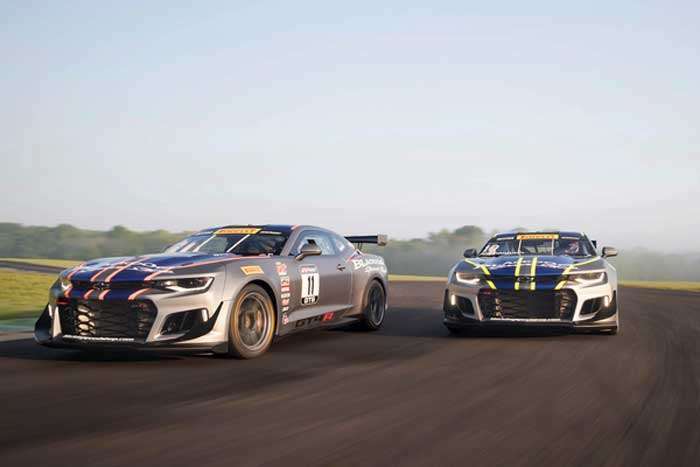 The GT4.R is based on the Camaro Zl1 and is constructed specifically to meet global GT4 racing regulations. The car is now available for purchase by the public. The racer is constructed by Pratt & Miller Engineering and is available to buy for $259,000 plus taxes and will be available for the 2018 racing season. The GT4.R gets a race tuned, dry sump 6.2L LT1 small block V8 engine. Not that there is no supercharger on this car, unlike the street ZL1. The car also has a 6-speed Xtrac sequential transmission with pneumatic paddle shift and adjustable traction control. For the racing series the car competes in, the minimum weight is 3131 lbs and the engine can make up to 480hp. Full aerodynamic bits are installed along with racing brakes and suspension.